While sunning ourselves at the beach one morning, our lazy lull was disturbed by someone walking around and speaking a little too loudly. Turns out, she was conducting a Facebook Live so her friends could find her. I appreciate this smart use of Facebook Live, but chances are you’re interested in how this technology can benefit your business. 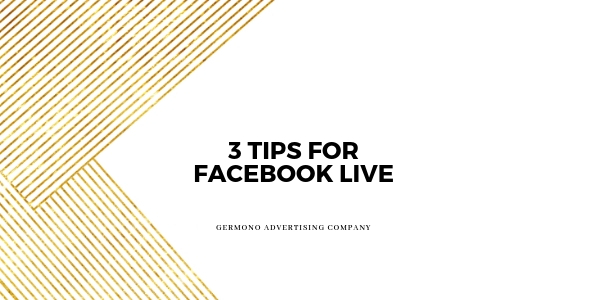 While uses for Facebook Live vary among ventures, there are a few universal principles that will inevitably set your live broadcast apart from the masses (and PLEASE read all the way to the end – we have an incredible deal for you). So, before your click “Go Live,” write down a few bullet points to keep from rambling. Once you know what you want to say, time yourself while stating your thoughts out loud to gauge how long this broadcast will last. When you feel like you’re ready, take a video of your presentation to iron out any wrinkles you find. Practice perfectly and your Facebook Live will benefit. You absolutely do not need to invest in professional lighting! All you need is a light source that comes from your front and/or sides as opposed to coming from behind. When the light behind you is brighter than the light in front of you, you get strange glares and shadows. Solutions include sitting near a window (just be aware of cloud cover – if it gets darker and lighter as clouds pass overhead, your Facebook Live will mimic that) or situating house lamps in front of you. 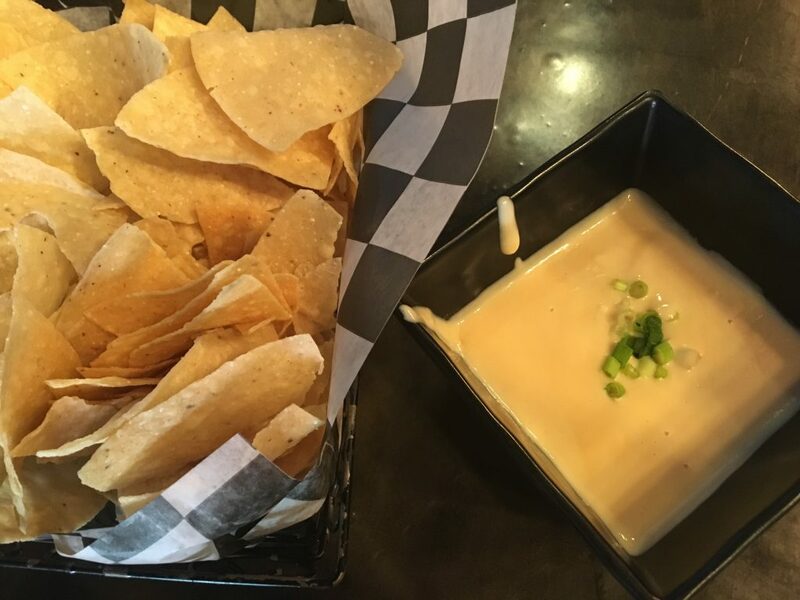 Don’t get me wrong, I love cheese; and a warm, gooey queso with fresh corn chips? Forget about it. However, there is a time and a place for this glorious indulgence, and your Facebook Live is not one of them. I am not actually talking about cheese here – what I mean is that there seems to be an epidemic of folks starting their videos (and sometimes each new thought) with, “Okay, so…” or “Kay, so…” and it sounds like they’re saying “queso” over and over. It is very distracting. Similar to other fillers such as, “like,” “um,” and “uhhhhh,” be mindful of what is happening when you’re thinking about what you want to say next. Something that helps mitigate these ticks is to practice perfectly – see the first tip. I feel like I need to mention this bonus tip because, unfortunately, this happens far too often: someone markets an upcoming Facebook Live beautifully, you get excited to watch, then five, ten, fifteen minutes pass with no Facebook Live. A that point, I leave, I’m grumpy, and I feel like I just wasted fifteen minutes of my life. While there are most certainly technical issues that arise, make sure to send out a post that lets guests know you are working towards a solution. If you have to reschedule, it is not optimal, but your viewers will appreciate that more than a no-show. Do your best to show up, on time, add value to the lives of those who are taking time to watch you, and your consistency will pay off with loyal followers. Finally, for even more tips and best practices from Germono Advertising Company’s Senior Marketing Coach Nikki James Zellner, you must sign up for her “Video Ready” virtual workshop on Thursday, August 24th at 12:30 p.m. (EDT). For only $25, you’ll receive 90 minutes of expert coaching as well as a workbook. Please take advantage of this deal before the class fills up – you can sign up by clicking HERE. Thank you for reading! If you would like more in-depth analysis for your business, do not hesitate to contact us at info@germono.com, and we will make a plan tailored just for you. And, by the way, that aforementioned beach-goer never found her friends – maybe she should have followed these tips!